Russia’s brand new ‘super tank’ Armata T-14 has unlimited potential for modernization, which together with a reasonable production value, significantly increases its export possibilities, the developer said. “This tank has a real potential for modernization, because it’s new and cutting-edge – in our understanding it can be upgraded an infinite number of times,” Oleg Sienko, CEO of Uralvagonzavod Research and Production Corporation, developers of the Armata T-14, told the Rossiya 24 news channel. Uralvagonzavod has managed to create “a platform and the base of the lead vehicle in accordance with top international standards,” he said. 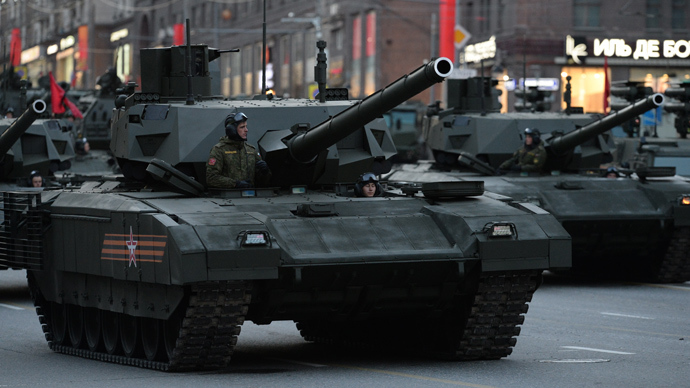 According to Sienko, the Armata T-14, just like its predecessor the T-90, is cheaper to produce than modern tanks developed by foreign countries. Reasonable production values and vast modernization opportunities significantly improve the export potential of the new Russian tank, he said. Also on Tuesday, Trade Minister Denis Manturov said that Russia is ready to discuss supply of T-14 Armata with Egypt, RIA Novosti reported. “Uralvagonzavod is looking into the options of delivering T-14 Armata tanks to foreign customers. Of course, we’ll be interested in this at some point, but only after executing the defense order in the framework of the armament program,” the minister said on his visit to Cairo. 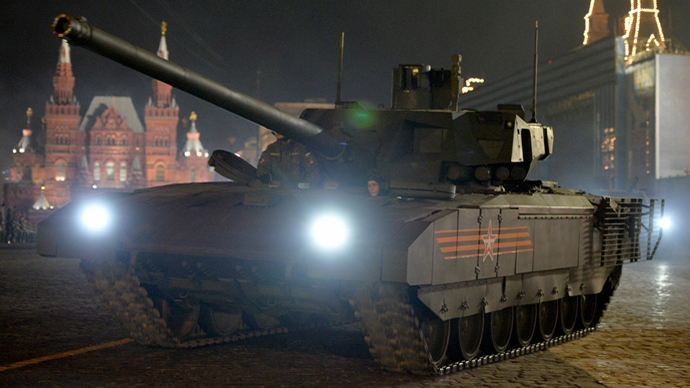 Twenty ‘super tanks’ have been produced in Russia so far, with all of them being on the Defense Ministry’s shopping list for 2015. According to preliminary estimates, 2,300 T-14 Armata units are required for the Russian Army to be fully re-stocked and combat efficient. The next generation T-14 tank, based on the Armata platform, was unveiled by the Defense ministry at the Victory Day military parade in Moscow on May 9. Its main design feature is the armored capsule for the three-man crew, placed in the front of the vehicle and isolated from the rounds rack for extra safety. Armata T-14’s main armament – a 7.62mm remote-control machine gun and a 125mm smoothbore cannon, are unmanned and fully automated. 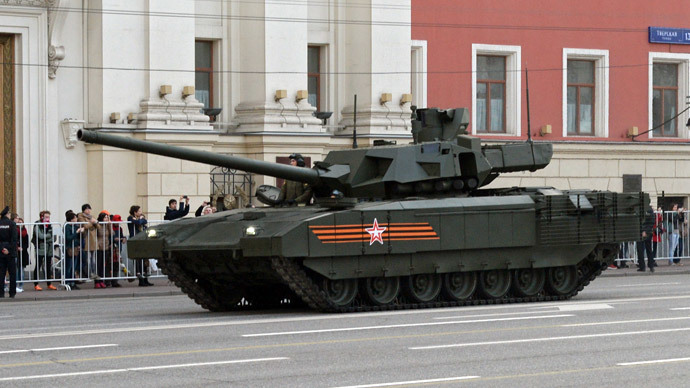 On Sunday, Deputy Prime Minister Dmitry Rogozin in charge of the defense industry, praised the Armata T-14, saying that foreign countries lag behind Russia in terms of advanced tank-building technology by some 15-20 years. "Even if they make something similar to what we have made, we will make something else by that time," Rogozin told the NTV channel. Last week, Germany and France announced they’ll be joining forces to develop a new battle tank. The Leopard 3, which is to replace its ageing Leopard 2 by around 2030, would be able to compete with Russia’s next-generation Armata tank, the German Defense Ministry said.